The Battle of Longewala was depicted in the 1997 Bollywood film, Border. 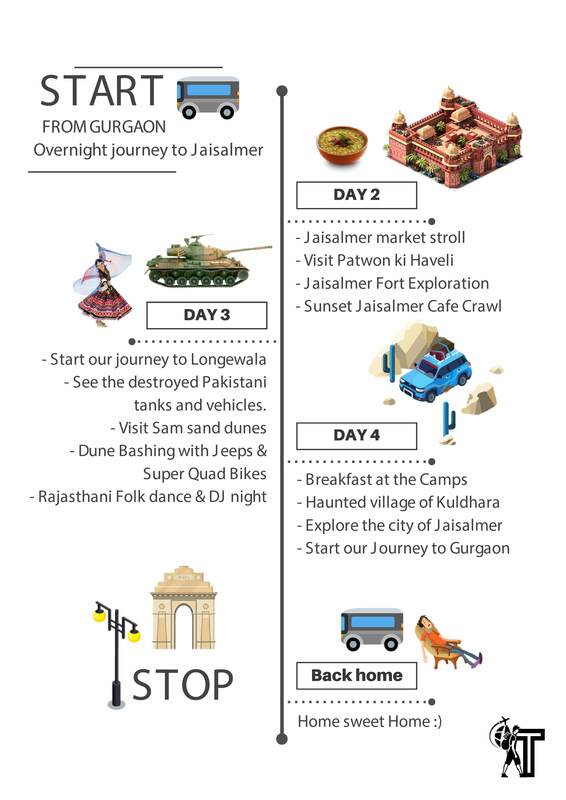 Experience the desert city of Jaisalmer with an informative local guide, i.e. your Kanjoos Traveller host, with this full-day tour of the city. Rajasthan’s culture, tradition, arts, custom and cuisines made it a designer state. The designer state attracts many tourists and to make this tour healthy, adventurous and amazing with this tour plan which will complete all desires from a trip. Get ready for some real time adventure as we take you through the best bumpy ride while sitting on the camel hump.